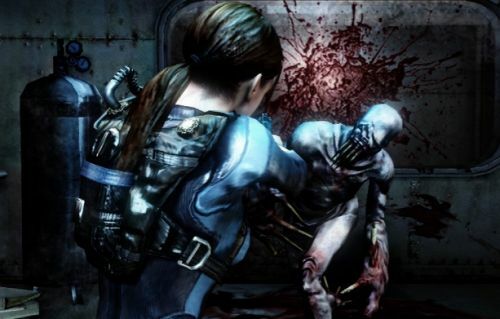 Resident Evil: Revelations will receive a free demo from the Nintendo eShop. We don't know exactly when the demo will be available, but since the game comes out next month, we figure it will be out soon. Capcom’s Christian Svensson mentioned the upcoming demo in the Capcom-Unity forums: “A RE: Revelations demo for NA and Europe is coming... When we have something more concrete to share, you won't be able to miss it on the Capcom-Unity blog." RE: Revelations features the return of Jill Valentine and Chris Redfield. The game is set primarily on an abandoned cruise ship, and takes advantage of the 3DS' features to create claustrophobic corridors, which should make the title more comparable to the earlier survival horror games. I hope that this game has a better save system than Resident Evil: The Mercenaries 3D. The inability to rewrite the save file scared away many potential buyers, including me. There has been no indication that Revelations will use the same save system. Resident Evil: Revelations will be out on February 7th, exclusively for Nintendo's 3DS. It supports a two player co-op "Raid" mode. Players will unlock Raid missions as they progress through the game. Due to the nature of the game's co-op, I find it unlikely that the demo will support the feature. If you happen to pick up the demo, feel free to let us know your thoughts in the comments section.